Navy/Mass Comm. Specialist 2nd Class Joshua MortensenUS Marines and Japanese Amphibious Rapid Deployment Brigade troops return to the amphibious dock landing ship USS Ashland after assault amphibious vehicle operations as part of KAMANDAG 2, October 5, 2018. 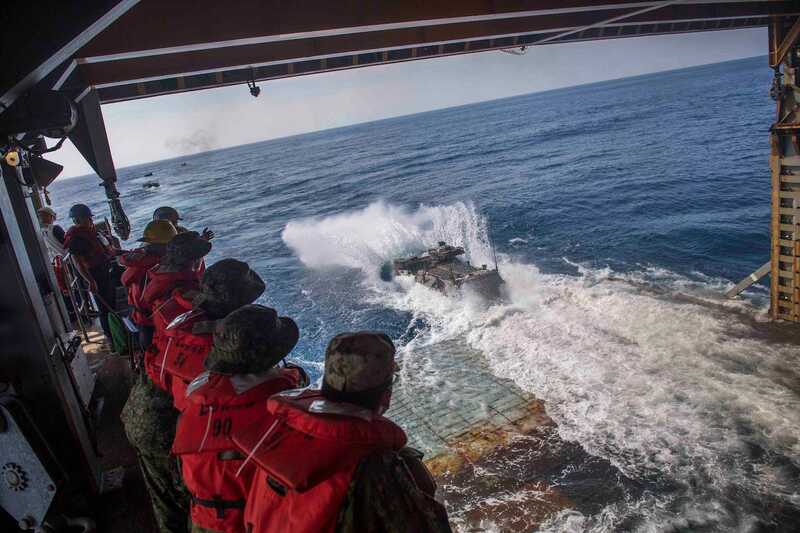 Japan activated its first marine unit since World War II in March to defend islands in the East China Sea, and this week Marines and sailors with the US 7th Fleet trained with it for the first time. Kamandag, usually a bilateral US-Philippine exercise, runs from October 2 to October 11 this year, and one of the first drills conducted during saw members of Japan’s Amphibious Rapid Deployment Brigade load five of their amphibious assault vehicles aboard the USS Ashland, a US Navy 7th Fleet amphibious dock landing ship based in Japan, carrying a contingent from the 31st Marine Expeditionary Unit. Below, you can see how troops from each country teamed up to steam ashore. A few days later, unarmed Japanese troops and armoured vehicles took part in an landing operation, hitting the beach alongside US and Filipino marines and acting in a humanitarian role. 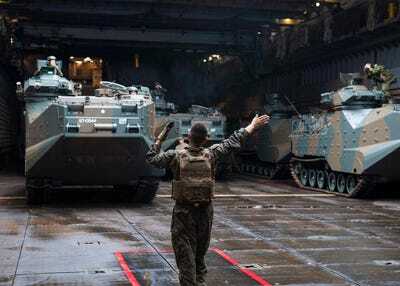 That was the first time Japanese armoured vehicles have been on foreign soil since World War II. Marine Corps/Lance Cpl. Kevan DunlopJapan’s Amphibious Rapid Deployment Brigade during an amphibious landing in support of a humanitarian assistance and disaster relief mission during KAMANDAG 2 in the Philippines, October 6, 2018. 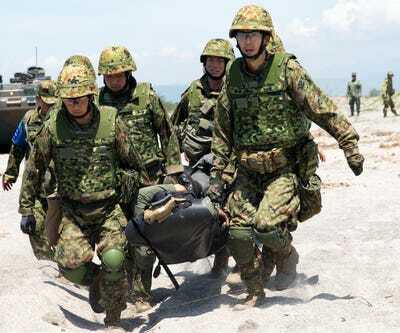 “The Japanese Ground Self-Defence Forces normally keep things in Japan, so for them to come out and participate with us and the Filipino navy and marine corps has been huge,” said Cmdr. Patrick German, the Ashland’s commanding officer. Marine Corps/Lance Cpl. Christine PhelpsJapan Ground Self-Defence Force troops provide aid during humanitarian aid and disaster-relief training during an amphibious landing as part of KAMANDAG 2, October 6, 2018. US and Filipino troops carried out mechanised operations and counterterrorism training. While Japanese armour was present, their focus was elsewhere. Navy/Mass Comm. Specialist 2nd Class Joshua MortensenJapanese Amphibious Rapid Deployment Brigade troops observe assault amphibious vehicle operations inside the well deck of the amphibious dock landing ship USS Ashland during KAMANDAG 2, October 4, 2018. 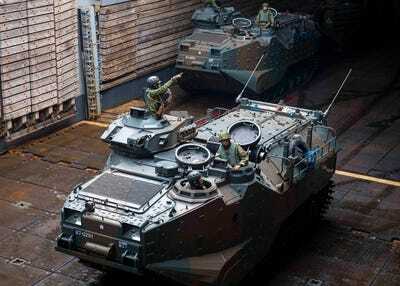 “The Japanese have their amphibious assault vehicles here. They will be conducting operations during this exercise in conjunction with us, though a different mission. They will be focused more on amphibious operations and humanitarian-aid capacity,” said 1st Lt. Ross Ochs, a US Marine amphibious assault vehicle platoon commander. Navy/Mass Comm. Specialist 2nd Class Joshua MortensenUS Marines and members of the Japan’s Amphibious Rapid Deployment Brigade stand by in the well deck of the USS Ashland after assault amphibious vehicle operations during KAMANDAG 2, October 5, 2018. Navy/Mass Comm. 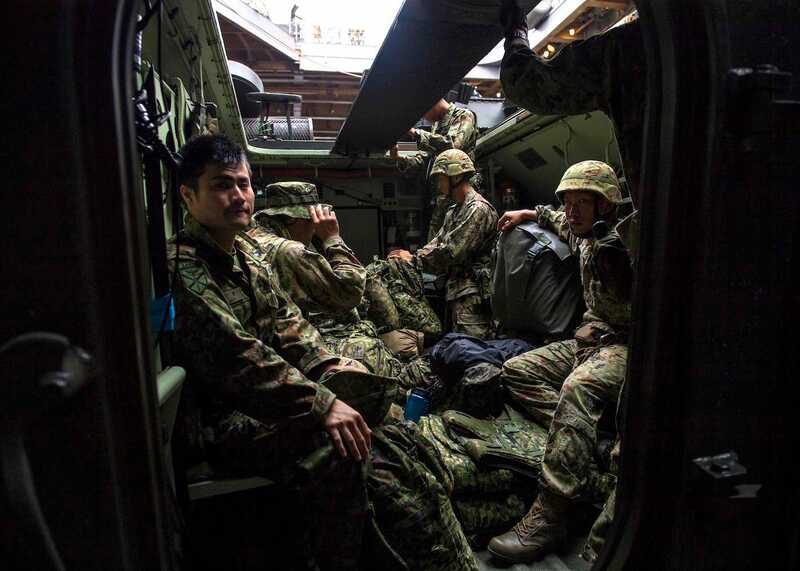 Specialist 2nd Class Joshua MortensenJapanese Amphibious Raid Deployment Brigade troops stand by inside the well deck of the USS Ashland, October 2, 2018. 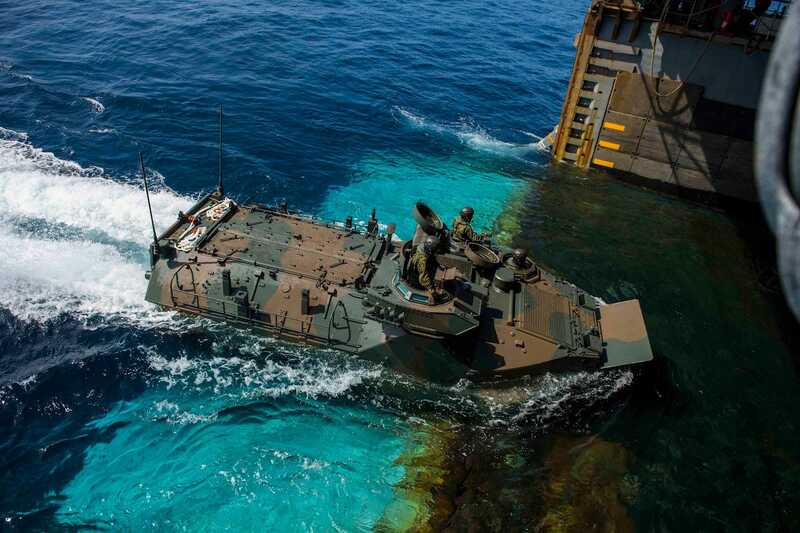 “We really tried to help the Japanese … build the ARDB on a marine-to-marine level and a service-to-service level,” Marine Brig. 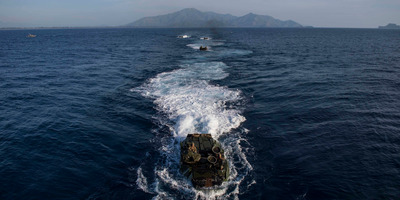 Gen. Chris McPhillips, commander of the 3rd Marine Expeditionary Brigade and leader of US forces involved in the exercise, told Stars and Stripes on Tuesday from the Philippines. Navy/Mass Comm. 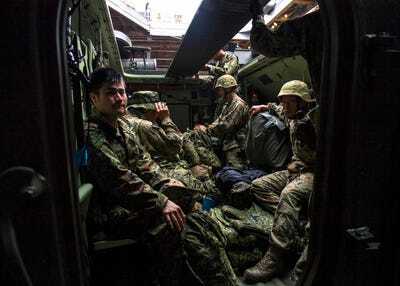 Specialist 2nd Class Joshua MortensenJapanese Amphibious Rapid Deployment Brigade members inside an assault amphibious vehicle in the well deck of the USS Ashland after conducting amphibious operations as part of KAMANDAG 2, October 3, 2018. McPhillips said the exercise improved the forces’ ability to work together in an emergency and enhanced communications at all levels. Navy/Mass Comm. Specialist 2nd Class Joshua MortensenJapanese Amphibious Raid Deployment Brigade troops manoeuvre an assault amphibious vehicle inside the well deck of the USS Ashland as part of KAMANDAG 2, October 2, 2018. 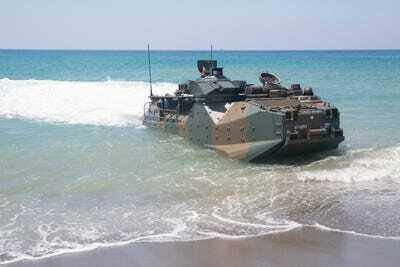 Japan, which disbanded its military after World War II, set up the Amphibious Rapid Deployment Brigade in March. It currently has about 2,000 members and is expected to grow. It will train to defend islands in the East China Sea, where Japan and China have territorial disputes. Navy/Mass Comm. Specialist 2nd Class Joshua MortensenA US Marine signals to an assault amphibious vehicle in the well deck of the USS Ashland, October 2, 2018. 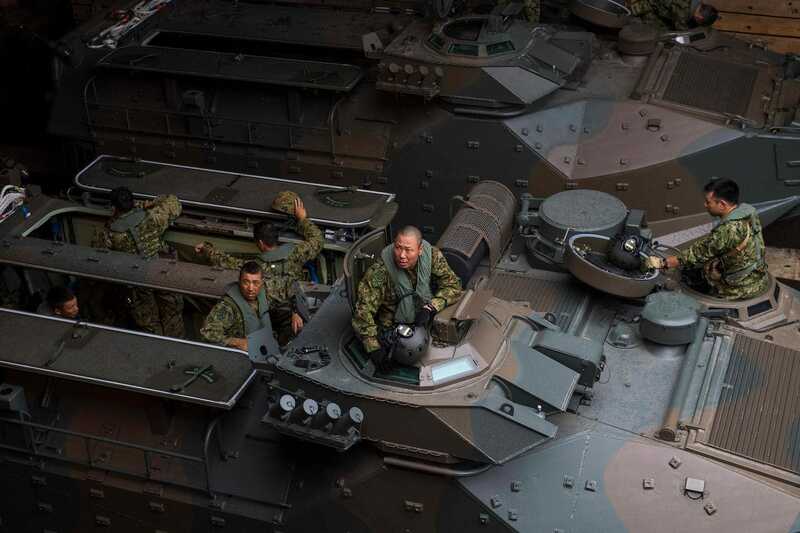 “Given the increasingly difficult defence and security situation surrounding Japan, defence of our islands has become a critical mandate,” Japanese Vice Defence Minister Tomohiro Yamamoto said at the unit’s activation in early April. Navy/Mass Comm. 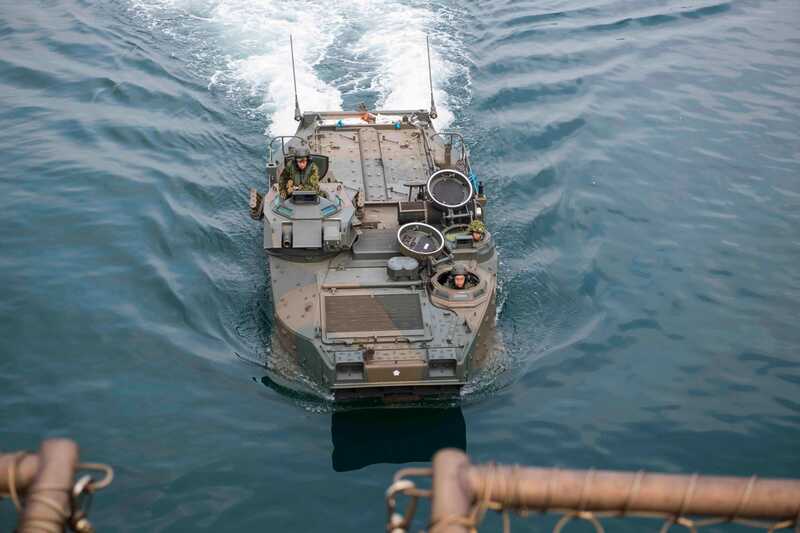 Specialist 2nd Class Joshua MortensenJapanese Amphibious Rapid Deployment Brigade members drive an assault amphibious vehicle into the well deck of the USS Ashland during KAMANDAG 2, October 4, 2018. The government of Japanese Prime Minister Shinzo Abe has taken a number of steps to strengthen the military, expanding the budget and adding new commands. Japanese warships recently ventured into the Indian Ocean to reassure partners there, and Japanese subs recently carried out exercises in the crowded waters of the South China Sea for the first time. Navy/Mass Comm. 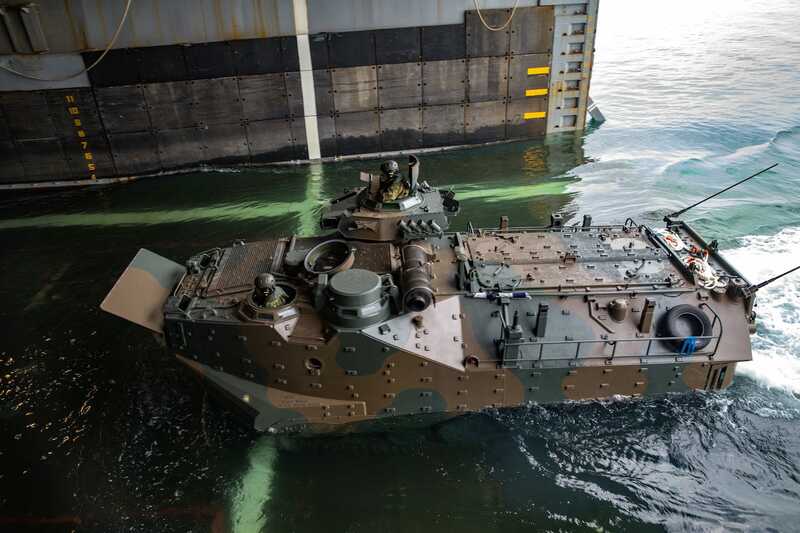 Specialist 2nd Class Joshua MortensenJapanese Amphibious Rapid Deployment Brigade troops enter the USS Ashland in assault amphibious vehicles as part of KAMANDAG 2, October 2, 2018. Abe himself also plans to visit the northern Australian city of Darwin in November – the first visit by a Japanese prime minister since Japanese forces bombed the city during World War II. Critics in Japan have expressed concern that the country is at risk of contravening the constitutional restriction against developing offensive capabilities and waging war. The amphibious brigade was particularly worrying, as critics believed such a unit could be used to project force and threaten neighbours. US Marine Corps/Lance Cpl. 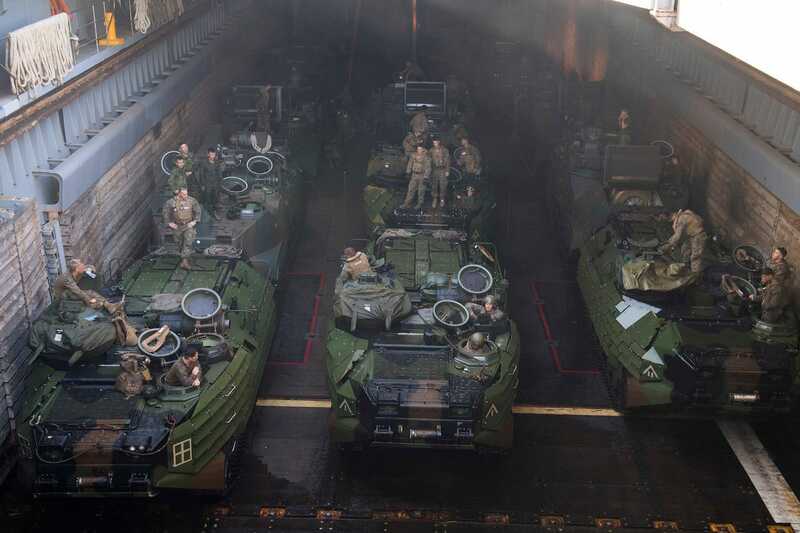 Christine PhelpsJapan Ground Self-Defence Force members prepare to embark on the USS Ashland in assault amphibious vehicles during KAMANDAG 2, October 3, 2018.